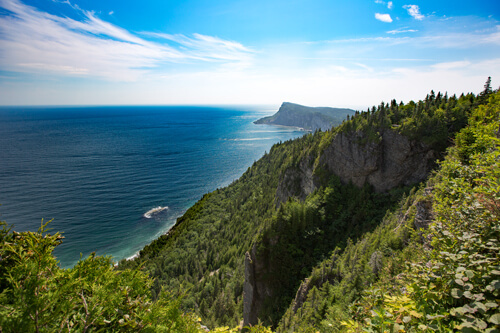 Located near the campsite Cap-Bon-Ami in the Forillon National Park in Gaspé, this hike of 4.5km (roundtrip) will take you to the lookout tower at the top of Cap-Bon-Ami. The traffic is quite high (especially during peak season). The 283 meters of elevation in 1.8km makes this hike a moderate difficulty trail. The first half is very steep, especially at the beginning. However, what’s nice about this path are the several beautiful stopping points with stunning views of the bay, take your time, and you may see seals or even a whale! 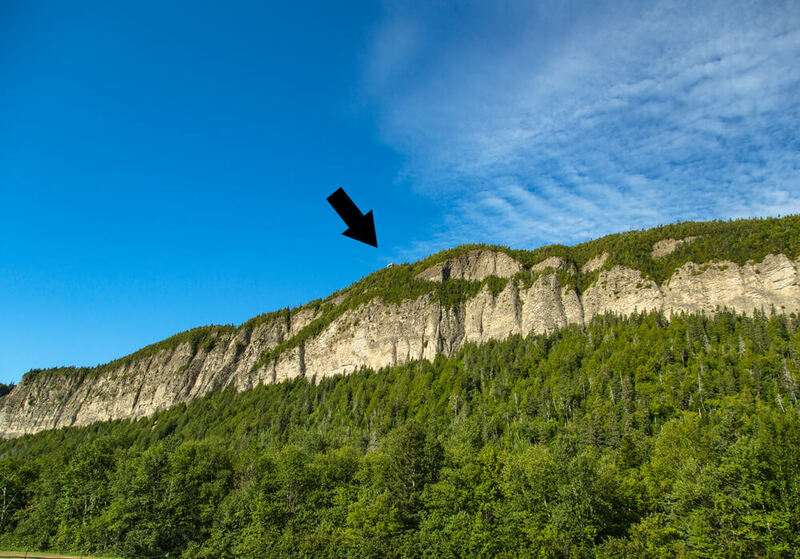 Once at the top, the lookout tower surpasses the trees and offers a 360-degree view of the region of Gaspé. 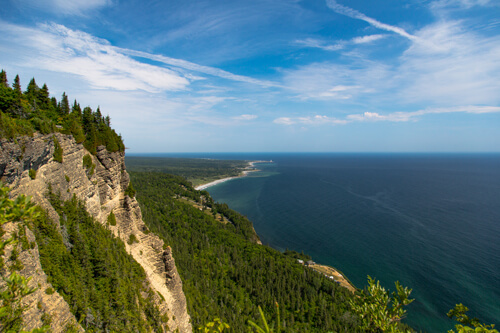 You also have a great view on Cap-Des-Rosiers, another great hike to do in the Forillon National Park. 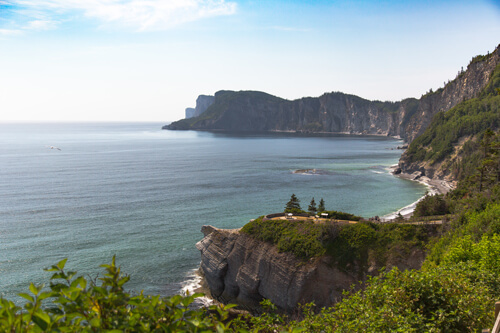 During good weather, you can even see the Pierced Rock (Roché-Percé)! At the bottom, you can see the campsite Cap-Bon-Ami and the beach with the parking area. The trail also continues after the observation towers and loops back at the parking for an additional 5.4km (total 7.2km), it’s an option if you want to continue your hike.The Cap-Bon-Ami Trail is the ideal outing if you’re looking for a short hike, the elevation makes it a bit difficult for less accustomed people, but the descent is easy enough since the trail is in good conditions. The lookout point offers the best view of the park.